Helen Lee has been engaged in publishing for the Christian market for more than two decades. 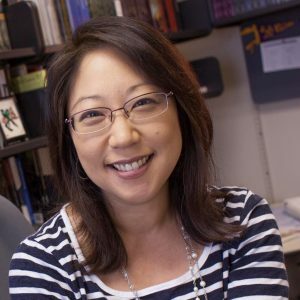 She began her career at Christianity Today in 1996 and has since then written numerous award-winning articles, contributed to multiple devotionals and Bibles, including most recently The NIV Bible for Women (Zondervan), and authored or co-authored two books, including The Missional Mom (Moody). Most recently she has spent the past four years at InterVarsity Press, first as an acquisitions and development editor, and currently as its director of marketing. She is an outspoken advocate for diversity and inclusion in Christian spheres and frequently speaks on topics of race, ethnicity, culture, and faith. Helen has a BA from Williams College, an MA from Wheaton College (IL), and an MBA in Entrepreneurship from Babson College. She has launched multiple startups, including serving as the co-founder of the Best Christian Workplaces Institute. Helen and her husband Brian, the chair of the music department at Moody Bible Institute, have three fast-growing and active sons.